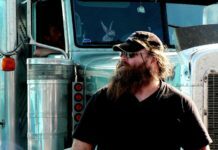 Home Truck Driver Tips Which Truck Driving Jobs Are The Best? This is a question that drivers have trying to answer since before the days of Jimmy Hoffa. Truck driving jobs are readily available in the United States, and barring a complete annihilation of the human race, there will continue to be a demand for new truck drivers from now on. No matter how bad the economy gets, the trucks have to roll to keep America moving forward. This constantly increasing demand for truck drivers leads to hundreds of job postings on Craig’s List, in the newspapers, an all over the Internet. But which of these truck driving jobs pays off in the end? 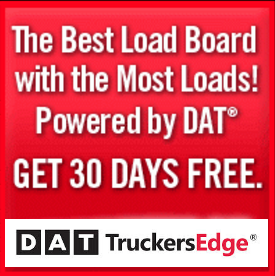 Job offers to haul dry freight, reefer trailers, flatbed freight, an specialized loads are easily found with a simple Google search. Anyone looking for truck driving jobs online will be swamped with so many results it is confusing to choose which ones offer a legitimate future, and which ones might be dead ends. Here are a couple tips to help you make sense of the web of offers on the Internet. If you’re a brand new driver, then you may need some help in acquiring your CDL. Many drivers turn to companies that offer to pay for them to obtain the licensing needed to drive a big rig. However, most of these companies require the driver to work for them for a set amount of time before they can seek employment elsewhere. While this might seem like a viable alternative to paying for the CDL school yourself, most of the companies who offer packages like this pay less than the industry standard for a driver. For instance, if you were to pay for your CDL yourself, you might be able to get hired on at a rate of $0.32 per mile, which is a fair rate. However, if you opted to go to school provided by a particular company, you may only make $0.28 per mile. While this may not seem like a huge difference, when you roll 2,500 miles per week, it would add up to $100 less per paycheck. This would come to about $5,000 less in income over the course of a year. With that much money you could have easily paid for CDL courses at your local community college. Before you sign on with a carrier, be sure the pay package meets industry standards. While it’s easy to get excited over the number of truck driving jobs available to you, choosing the first one you see is generally a bad idea. Talk to other drivers and find out what their company pays for a driver with your experience. Also, be sure to ask how many miles per week they average. If you’re hearing drivers talk about great pay and benefits but complaining about mileage, you may want to opt for reduced pay and steady mileage. Never trust a company recruiter to tell you the whole truth. The bottom line is that each recruiter is paid to talk you into coming on-board with that company. Truck driving jobs are plentiful, and each recruiter has a better story than the last one. Do your own research on each company. Look for blogs, articles, and websites that can offer you valuable insight to the company you’re considering. 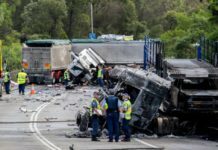 Just because a company appears in a list of truck driving jobs does not mean it is a reputable company. Anyone can pay for advertising space, so be sure of who you are going to work for. Each trucking company is different from every other company out there, just like each driver is different from all other drivers. 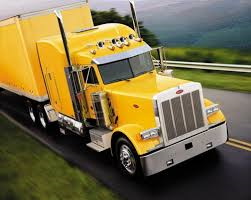 Truck driving jobs are available in large numbers, so as a driver you can be selective in who you work for. Check into each company you’re considering and find out what they have to offer you as a driver. If you need weekly home time, then find a company that offers that. If you want a higher paycheck, then you may have to stay out longer. Each position is different and you have to find the company that offers you the most benefits, while presenting the least number of drawbacks. The biggest thing to remember about truck driving jobs is that no company is perfect, and you will most likely have to compromise what you want in at least one area. However, the rewards of finding the right company for you will easily outweigh any losses you might have incurred through those compromises.